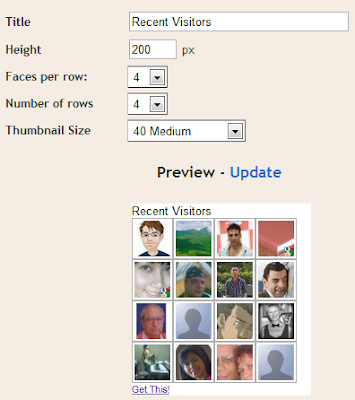 This Recent Visitors gadget for Blogger, displays the recent Google friend connect members who visited your site (recently). 3. 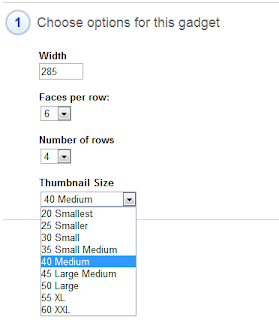 Click on the above shown gadget title. 4. Configure the gadget and save. 3. Click “Add Gadget by URL” link at the bottom. 7. 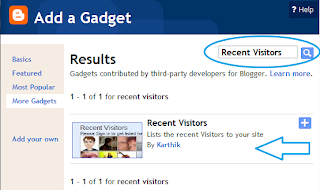 Copy the code, add it to your site, Start using “Recent Visitors” gadget !!! I had taken Eiji’s Footprint gadget as a base, and modified the logic for identifying the recent visitors. This gadget doesn’t store the Timestamp of the visitors. Instead it keeps track of a number, which each recent visitor gets assigned (that is always higher than the second recent visitor who visited the site). Recent Visitors; Podrías poner esto en distintos idiomas o ponerlo en Castellano. Haber como se puede cambiar. How do I hide myself in this bar? Thanks you so much. I love the tool. Thanks. I’ve put the “Recent Visitors” gadget on my blog and the title shows up, but neither the names or pictures of my visitors are available to view. Any suggestions to fix this? My account is on blogspot, if that helps. I appreciate it if you could get back to me. Postei o gadget no meu blog há 2 semanas e não funcionou… existe algum segredo? Could you please explain how this widget is working? Google Sidewiki – Google.com/Sidewiki – want it in Chrome !